March 4: What's Jen Clicking on Between Casts? Where is the bottom? Have we hit it? Are we close? Does anyone know? 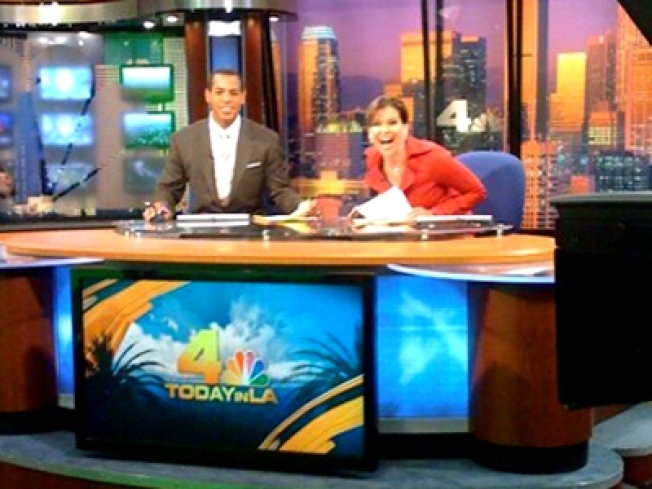 Our financial guru Bob Pisani told us this morning on Today in LA that we're certainly due for a rally. Generally when the stock market tumbles there's a bit of a rally the next day as bargain hunters pick up the stocks at lower prices, right? That's kind of what President Barack Obamawas getting at yesterday as he made some comments to reporters during his visit with British Prime Minister Gordon Brown. "Profit and earning ratios are starting to get to the point where buying stocks is a potentially good deal if you've got a long-term perspective on it," Obama said. Of course the idea that the president is giving financial advice isn't something that sits quite right, and Press Secretary Robert Gibbs sort of downplayed it with his reponse. "But the questions about it kept coming at Gibbs at his afternoon briefing for reporters. '“I will ask him,' said Gibbs, adding that Mr. Obama’s comment only reflected his oft-stated expression of confidence in the steps his new administration is taking to help the economy reverse course and resume growth." Optimism is, after all, one factor that drives the market. If it can only get better from here, now is the best time to buy. 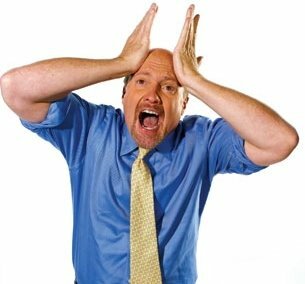 Maybe that's why no one in the Obama administration was likely happy with CNBC's Jim Cramer's appearance yesterday on the Today Show. "We're going lower," Cramer said, adding, "I think we could bounce periodically, but this is a bad market and I don't think people should be counting on it for anything positive." He went on to call Obama's budget plan the "greatest wealth destruction I've seen by a president," that we have "...an agenda in this country now that I would regard as being a radical agenda. I think that we had a budget that came out that basically put a level of fear in this country that I have not seen ever in my life and I think that that changed everything." You can watch Matt Lauer's conversation with Cramer and CNBC's Erin Burnett on the Floor of the New York Stock exchange here, about halfway down the page. That's also where you can see Press Secretary Gibbs' response to Cramer's remarks, when he was questioned by NBC's Tom Costello, who added the qualifier that Cramer "...is not a conservative." "I'm not entirely sure what he's pointing to to make some of the statements," said Gibbs. "And you can go back and look at any number of statements he's made in the past about the economy and wonder where some of the back-up for those are too." The truth is, nobody knows for sure. But as Bob Pisani told us earlier this week, the market is in a sort of a doldrums where people are looking at eachother with uncertainty, and hanging on to their money. A commerce department report a few days ago showed consumer spending is up, but also showed something more telling about how cautious people are feeling: the personal savings rate jumped from 3.9% to 5% in December. That's a 14 year high.